Israeli foreign minister Avigdor Lieberman is threatening a menacing ultimatum—continued airstrikes or full occupation—an Israeli military-owned radio station quoted him as saying on Sunday. The comments came hours after the Israeli Defense Forces (IDF) launched an airstrike on the Gaza strip in retaliation for what they said were projectiles fired from the Palestinian territory into the Negev desert. “Either with each round we attack terror infrastructure and they shoot, or we go to full occupation,” Lieberman said on the IDF-operated Army Radio, or Galei Tzaha. Witnesses told the Ma’an News Agency that one missile struck a military base south of Gaza City and another in the evacuated Israeli settlement Netzarim southwest of Gaza City. It is unclear if there were any casualties from the attacks. Israeli Prime Minister Benjamin Netanyahu told the country’s cabinet, “We are ready to expand this operation as per need.” The cabinet on Sunday also approved a plan to tighten Israeli’s grip on eastern Jerusalem, which includes bolstering security forces and increasing Hebrew in Palestinian schools, Haaretz reports. 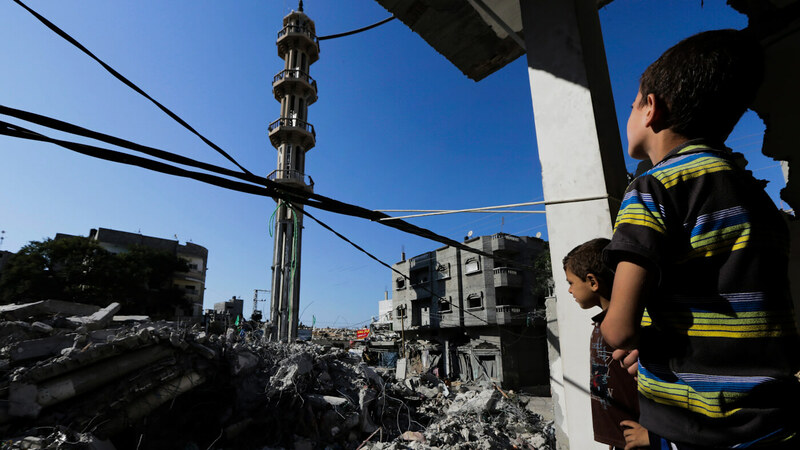 The attack came two days after IDF forces conducted a “targeted assassination,” killing two Palestinians in the Gaza Strip. According to anonymous Palestinian security officials and reported by Al Jazeera, the late Friday attack hit a car traveling near al-Shati refugee camp, killing two members of the Tawhid Brigades, an armed group unaffiliated with Hamas.